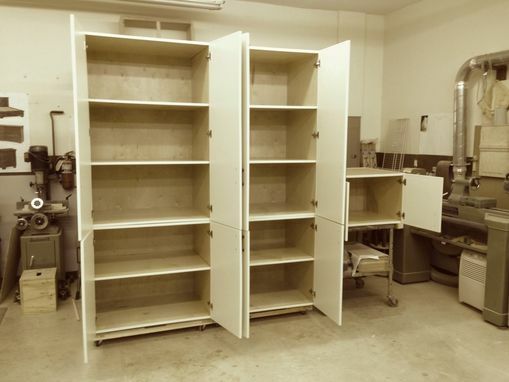 These floor to ceiling Painted Storage Cabinets were made in the shop, delivered and installed on-site. The customer wanted as much storage area as possible so full overlay doors mounted with Blum soft close hinges was necessary. 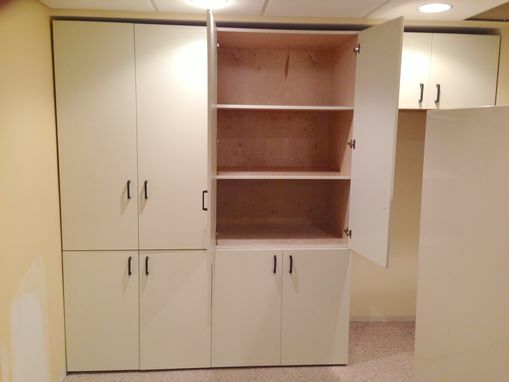 The basic cabinets are made from 3/4" birch plywood. 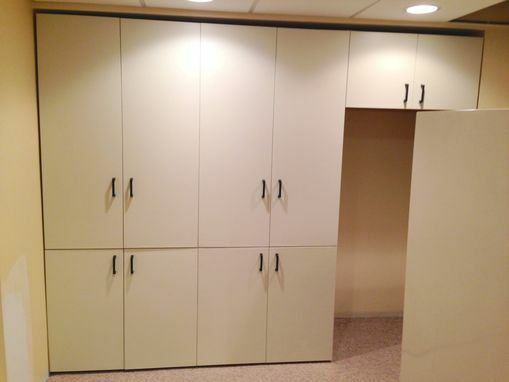 The doors are also 3/4" birch plywood but are banded with hardwood strips. Large, deep shelves are mounted on sturdy metal adjustable clips; the customer choose black handles for the doors. 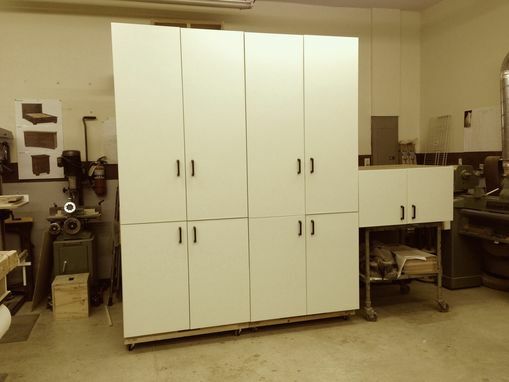 The interior of the cabinets received 2 coats of sprayed lacquer, while the doors & edges of the cabinets received 3 coats of an off-white semi-gloss interior paint.